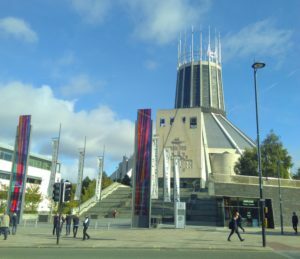 I spent a great couple of days up in Liverpool, attending the North West Digital Research Methods Festival at the University of Liverpool. It was great to be back in Liverpool and catch-up with colleagues and friends from my post-doc days there in 2013-16. The city has changed quite a bit, and my old office now overlooks a major building site instead of a green park! The conference looked at Digital Methods from a broad social science point of view. It was great to spend some time thinking about digital methods from a different perspective. 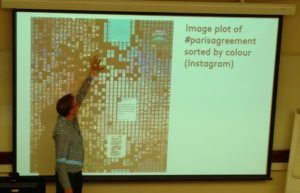 Key to all digital methods are longevity and there were lots of discussions about how data resources are made available to scholars in the long term; including decisions made to simplify a website interface to ensure it will remain working for longer with limited support. There were a whole range of presentations looking the digital research and digital data, from a wide range of different perspectives. These included using physical objects to encourage interaction and engagement in a museum environment, to considering the best ways of increasing accessibility of digital archives such as photo libraries of African Rock Art or historical criminal life courses. Have a look at https://twitter.com/hashtag/nwdrm for Tweets from the conference. The second day consisted of a series of practical workshops, which included one run by me on GIS. I was pitching GIS as a great digital method and I think I may have converted some people! I had a 30 minute slot and managed to cover a very brief introduction to GIS, and did a practical using Google Fusion Tables. The materials are available here (http://bit.ly/digital-space) and please do drop me a line at nick@geospatialtrainingsolutions.co.uk if you are interested in learning more about GIS. I would really recommend that everyone considers attending conferences outside of your usual ‘academic sphere’ – you never know what you are going to see, what ideas might be sparked off, or what future contacts & employers you could be meeting!